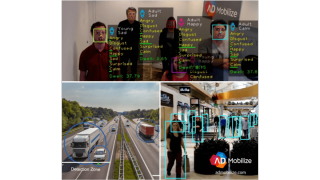 AdMobilize has entered into eight new partnerships with a broad range of companies from the United States, the United Kingdom, Canada, Mexico, Japan, New Zealand, and the United Arab Emirates. The partnering companies include Creative Realities (US), Convergent (US), Beta DMS (UK), Mizun (UAE), Vada (NZ), MediaEdge (Japan), UBI Communications (Canada), and Grupo EDM (Mexico). According to CEO Rodolfo Saccoman, these partnerships solidify the growing worldwide adoption of AdMobilize’s technology to capture, analyze, and utilize audience demographic data. Depending on one’s usage and installation environment, the AdMobilize platform can, in real-time, track ad performance and customer engagement; capture people, vehicle, and crowd analytics; segment campaigns and content by hour and site; validate viewership; target by both audience demographic and emotion; optimize store traffic flow; locate popular zones; view store activity; and more. All captured analytics are fed to a cloud based dashboard or API that allows end-users to assess results and performance, identify trends, and make any necessary adjustments to content.